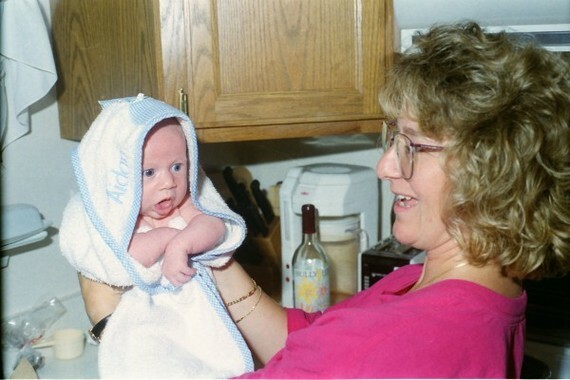 If it weren't for my mom, I wouldn't be the person I am today. I resisted the urge to add to the margin in snarky red ink, "No kidding." -- maybe even with a little smiley face. After 25 years of teaching, that line is still is one of my favorites along with "UFOs are possible" (which is true, they are unidentified) and "Mr. Walsh, you don't really read these journal entries, do you?" (to which I added, "No"). If it weren't for the mothers in my life, I wouldn't be the person I am today. When my wife laughs that I'm often more of a feminist than she is -- I observe it's not from any noble ideal; it was simply self-preservation -- growing up with my dad traveling three days a week leaving me at home with my mom, my three sisters, my grandmother from Florida three months a year, Daisy our beagle and Duke -- our cat who was "fixed," -- implying that his default male state was broken, I suppose. It has been amazing to see each of my sisters become wonderful mothers--each bringing their own humor, patience, skills and love to their children mirroring our wonderful mom, Ann, but also our grandmothers Laura and Melanie. I've been fortunate beyond my wildest dreams to marry a lovely woman who not only melded beautifully into my sisters' lives but also became a great friend to my mother. And moving down another generation, I can see the same type of warm, unconditional love in my daughter that makes her such a special person--destined to carry on the mothering techniques she's observed so well. 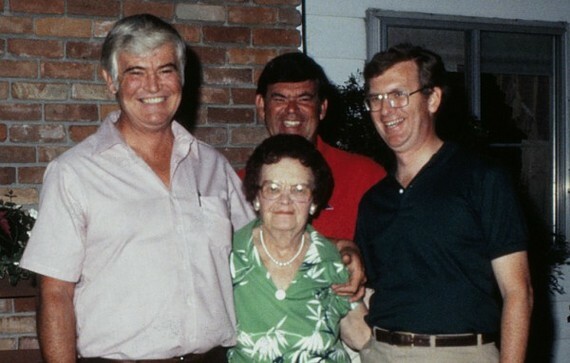 So, at the risk of sounding like Patrice's father Bob when he retired from Ford and dangerously found himself suggesting improved vacuuming techniques to Helen, I'm going to suggest a short recipe for a pretty amazing mother--based on the fantastic moms that surround me. Consistency: My dad's mom, Laura, provided for all of us the importance of a routine despite many tragic losses in her life. For us it began with her morning tea, and took her through the day that included watering the flowers, ironing, The Price is Right and her afternoon Novena with Bingo three nights a week. She found no greater joy than a good game of cards and her family around her. Flexibility: My mom's mom Melanie worked countless jobs while raising six kids pretty singlehandedly, was a published poet and in her 50's took up tennis and eventually won a national title. She never tired and couldn't wait to share in your life -- even asking me about my college roommates -- 15 years after I'd graduated. 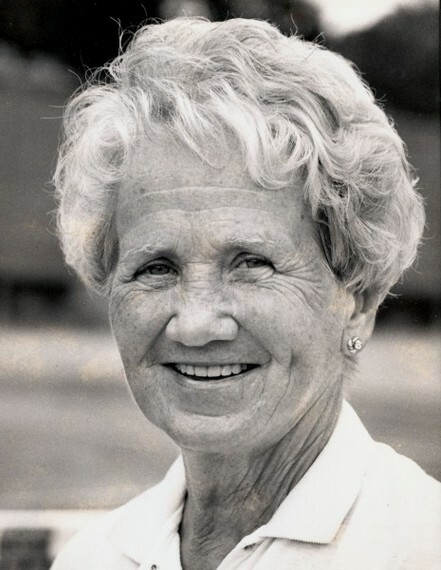 She was the ultimate survivor and transforming herself from the privileged daughter of a wealthy family that lost it all in the Depression to the person she became has always been an inspiration. Courage: My mom, Ann, not only had no problem deciding to start her own "young fives" program, pulling me out of kindergarten and waiting a year, but she also was a leader in La Leche League, championing breastfeeding support -- which my wife Patrice also did while raising our own kids. 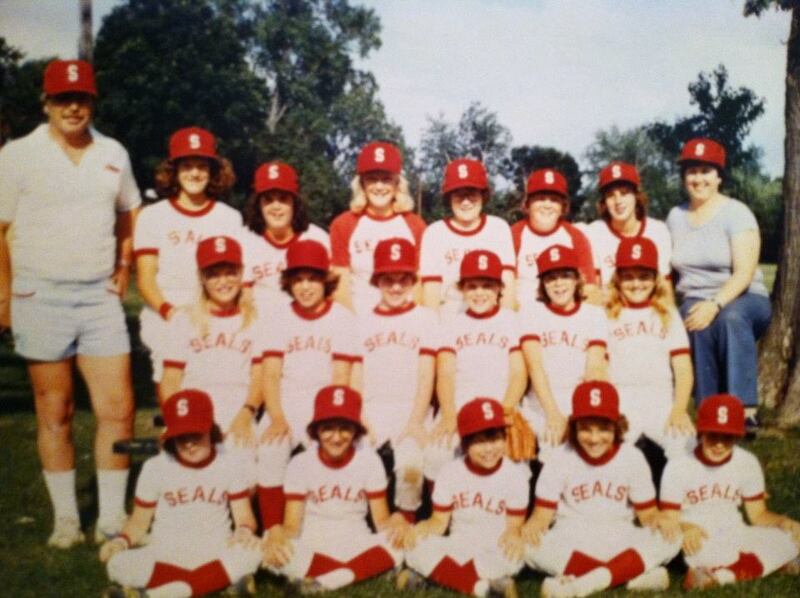 My mom also decided to coach a little league girls hardball team when no one else would step forward. I cannot count the number of times in my life someone has told me, "Talking to your mother, wow, it changed my life!" 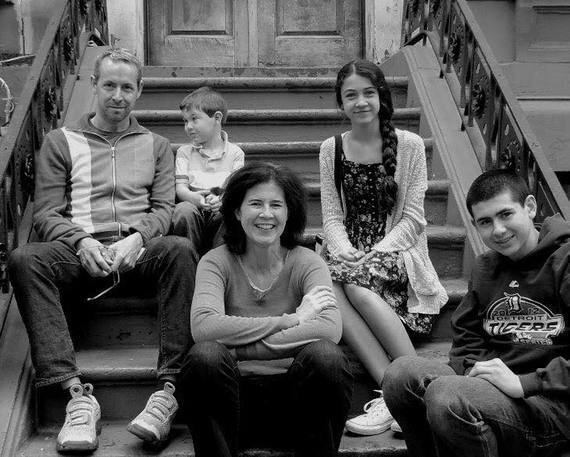 Unflappability: My sister Katie is an amazing mom who has been a magazine's managing editor in New York for 25+ years while raising three wonderful kids. Katie's steady patience and sly humor is something I've witnessed and enjoyed since our days on the paper route. She continually supports her three kids and is a terrific aunt to our own. She is a natural champion of causes and a calm leader amidst deadlines and the biggest Manhattan traffic jams! Clear Communication: My sister Colleen was born with laughing eyes and love of all company. She's an amazing mom to Danny and has given him the unconditional love that we received from our mom. I'm in constant admiration of her work with Chicago students, her two masters' degrees, her fluent Spanish, her many stints abroad as an exchange student and international traveler -- she's a born bridge-builder and works tirelessly to help us all get along better and know each other a little more. Unwavering Support: Maureen, my youngest sister, is the mother of two boys -- with a capital B. Maureen's talents took her on a different high school track from her older sisters -- she was a terrific cheerleader is an amazing singer. 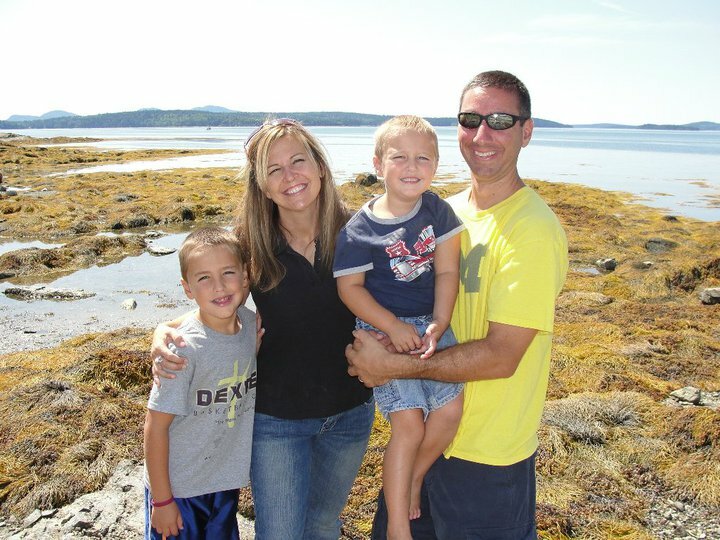 Her sons Nate and Andrew love all sports and Maureen not only is at every one of their events but also was a volunteer and substitute teacher in their school for years. 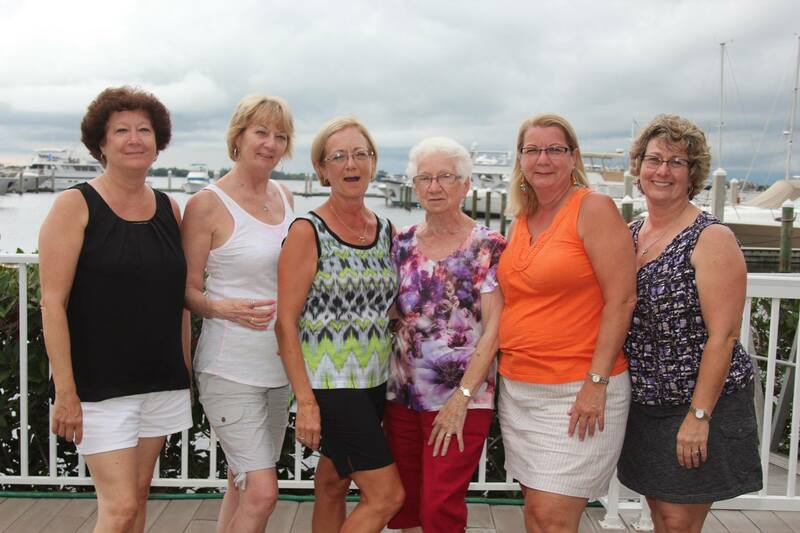 Maureen's friends are fiercely loyal and reflect her love for them. 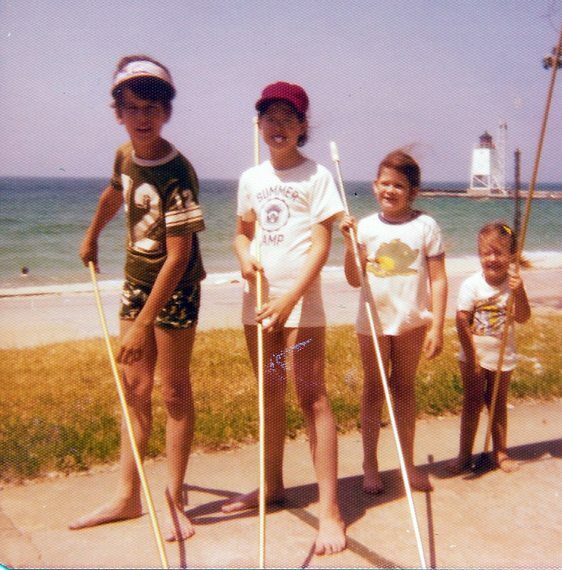 The Long-View: My mother-in-law Helen, is a model of keeping your eye on the horizon -- understanding the need to have something to look forward to. At 86, she's prepping for a cruise with her many daughters and daughters-in-law in three weeks. No matter what hardships she and those around her endure, Helen's steadfast reliability and optimism is infectious and steadying for us all. 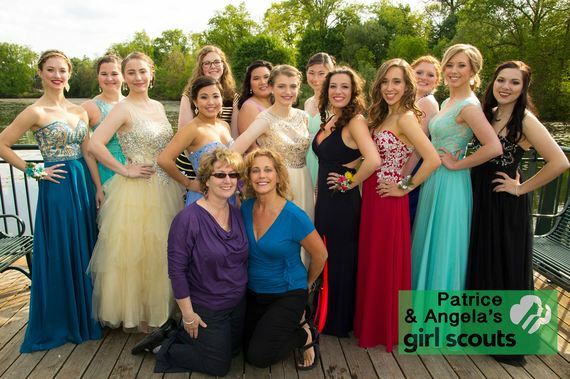 Patrice and Angela's 10+ year girl scout troop at 2015 prom. 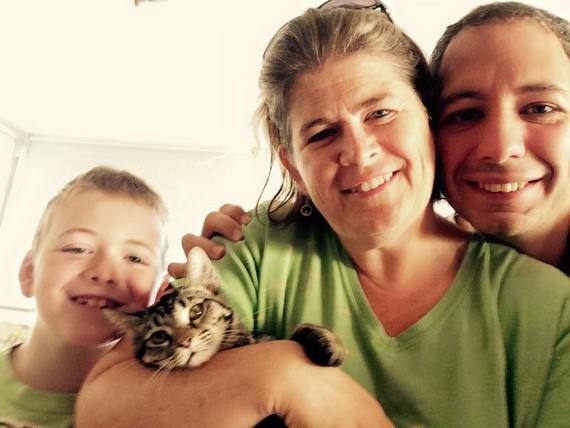 Endless Inclusion: Patrice's love of laughter and acceptance is a direct sequel to her mother's. It's a joy for me to see our college-age kids sharing their days with her. Even when they choose to discuss matters at the dangerously late hour of anytime after 11 pm, they can be certain that above all they are loved -- and will probably be teased. And to see her troop of girl scouts surround her before last year's prom was just a small testament to her reach. I can easily include in this network of amazing moms my aunts, sisters-in-law, cousins and the incredible teachers in my life who have been in front of me at the chalkboard or beside me in the teacher's lounge. All of whom inspire me and shape me as a father and friend. And it's easy to look at the recipe above and say it applies to fathers too--but this feminist dad would suggest is that perhaps the best compliment a father might receive is that he's actually behaving more like a mother.